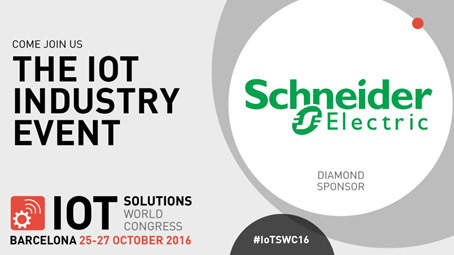 This October 25-27 IoT World Congress will be held in Barcelona, Spain. A 3-day program featuring today’s most influential IoT thought leaders, this event is sure to draw in the crowds. Schneider Electric is a diamond-level sponsor at the event with over 12 speakers and a dedicated exhibition space that will feature our IoT solutions for everything from data centers to hospitals and homes. According to the United Nations, by 2050, the world’s population aged 60 and over will double (from 841 million in 2013 to 2 billion). This rapidly aging population will place unprecedented demands for services on healthcare facilities, outpatient clinics, and aged-care facilities around the globe. At the same time, healthcare costs are also rising, budgets are shrinking and maintenance issues are increasing. Together, it’s the makings for either a perfect storm or perfect opportunity to find innovative ways to reduce costs while also improving the environment of care. As the Healthcare Internet of Things has found an obvious home in connected technologies such as telehealth and wearable health monitoring devices, the potential for leveraging IoT in other areas of the hospital is gaining momentum. 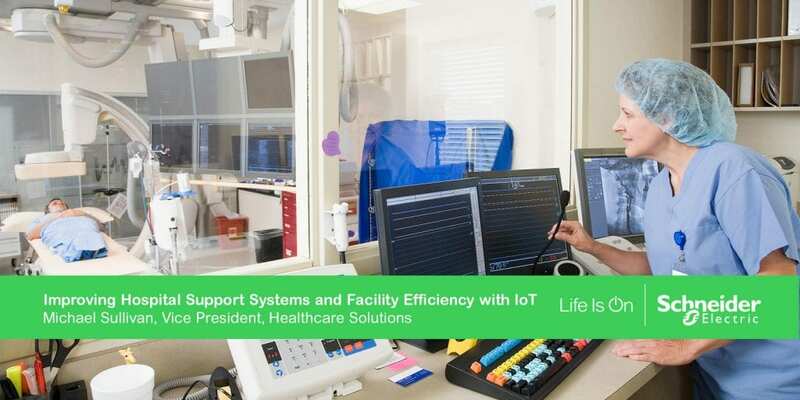 Michael Sullivan, Vice President, Global Healthcare Solutions at Schneider Electric will be sharing his insights on how to “Improve Hospital Support Systems and Facility Efficiency with IoT.” This session discusses new operational efficiencies that can be achieved in hospitals by leveraging IoT to improve support systems and the efficiency of the hospital facility and infrastructure. He will also share numerous stories from customers who have already adopted the latest in Healthcare facility IoT solutions, from connected products, and edge control to digital services, apps, and analytics. Mr. Sullivan’s presentation will take place on Day 2 of the event, October 26th, 2016 from 12:00-12:45 in Room 4. We know your days are busy, so be sure to download the IoT Solutions World Congress App on your smartphone and tap the star for the presentation by Mr. Sullivan. This will add it to your list of favorites so you don’t miss it! Also be sure to stop by and chat with our Healthcare expert at booth D471 in the exhibition hall. To learn more about our healthcare solutions visit our webpage: www.schneider-electric.com/healthcare or to register for the event, visit the conference website.